The occurrence of invasive plants is increasing in all types of ecosystems, producing both positive and negative changes on the landscape. Many land managers aim to decrease the negative effects that plant invasions bring, which may require curbing their spread through proactive management. This is particularly the case in urban areas which often act as the centres of plant invasions. Traditional methods of controlling plant invasions in cities involve sending field crews to survey municipal lands and develop maps of the invasions. While this procedure provides detailed information of plant invasions in some areas across a city, it does not produce a contiguous map as the surveys are often limited to accessible pockets of land in public areas. Municipalities are looking for new tools to map invasions. Remote sensing technologies provide novel opportunities to detect plant invasions over large, spatially contiguous areas at fine spatial resolutions. Two detailed remote sensing technologies are hyperspectral imagery and light detection and ranging (LiDAR) sensing. Hyperspectral imagery records objects’ responses to sunlight in a small part of the electromagnetic spectrum. The detail provided allows for individual plant species to be distinguished from each other. Additionally, hyperspectral imagery with very high spatial resolutions (for example, 1 m) allows individual plants to be detected. A LiDAR sensor mounted on an airplane can send laser pulses to the earth’s surface and detect the distances to objects. Multiple returns can come from each laser pulse, resulting in detailed 3-dimensional structure of an area. LiDAR data is often used to create digital elevation models, which describe the elevation of an area, and to quantify forest structural characteristics, such as the mean height or standard deviation of height. In previous studies, this information has been used to create ecological models for predicting plant distributions. 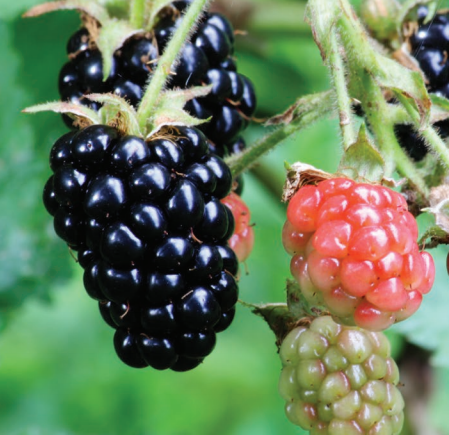 In Surrey, British Columbia, the municipal government is concerned with, among others, 2 invasive plant species, Himalayan blackberry (Rubus armeniacus) and English ivy (Hedera helix). Both of these plants take over the understories of forests and open areas, reducing native biodiversity and posing a nuisance to residents of Surrey and managers of Surrey’s parks and natural areas system. Over the past decade, the local government has surveyed its parks and natural areas and recorded locations of Himalayan blackberry, English ivy, and other invasive species, providing presence and absence records of invasions. The municipality collected hyperspectral imagery and LiDAR data in 2013 over its entire 316 km2 area. The hyperspectral imagery was collected at a 1 m pixel resolution and LiDAR data contained 25 points per m2, allowing for detailed structural analyses. 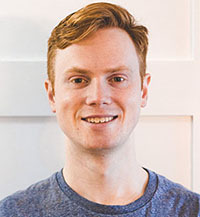 Master of Science graduate student Curtis Chance (now completed) and his thesis supervisor, Dr Nicholas Coops (Department of Forest Resources Management), utilized these data to map the distributions of Himalayan blackberry and English ivy, and test the accuracy of the maps produced. The City of Surrey provided funding and data for this project. The first step to create maps of Himalayan blackberry and English ivy was to separate the city into forested and non-forested areas. Each 1 m pixel of the city with a cover greater than 20% over 2.5 m in height (as determined by the LiDAR data) was considered a closed forested area for the purposes of the 2 plant species. Each pixel with less than 20% cover above 2.5 m was considered to be an open, non-forested area. The next step was to produce the various LiDAR layers and perform a hyperspectral analysis. In this research, LiDAR was used to quantify the ground characteristics using a digital elevation model, and surface slope and aspect models. LiDAR data were also used to quantify forest structural characteristics including skewness and coefficient of variation of height, cover, and height percentiles describing the distribution of LiDAR points along a vertical profile. An irradiance model, describing the direct and diffuse radiation, was also created as invasive plant distributions may be influenced by light availability. A hyperspectral analysis provided likely locations of Himalayan blackberry and English ivy in open, non-forested areas across the city. After the model inputs were created, the species distributions were modelled. In open areas, a likelihood map from the hyperspectral imagery and LiDAR-derived surface variables were used as inputs in a complex decision tree model that classified each point as absence or presence of Himalayan blackberry/English ivy. In closed, forested areas all LiDAR-derived variables were used in the model, but hyperspectral information was not. For all of these models, the invasive species points collected by the municipality in 2012 and 2013 were used as training and validation data. The output maps of Himalayan blackberry were classified with 78.8% accuracy in forested areas and 87.8% accuracy in open areas. 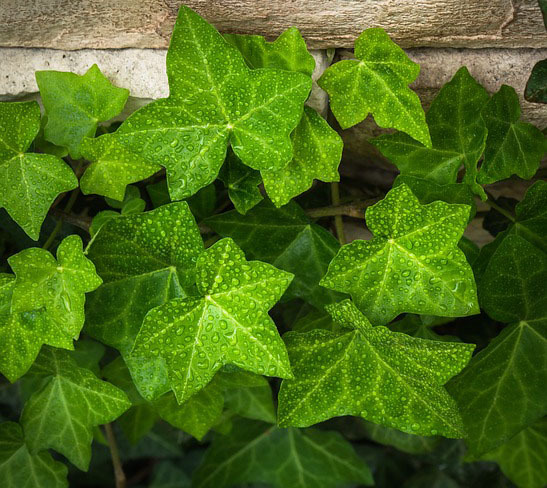 English ivy was classified with 81.9% in forested areas and 82.1% in open areas. These outputs maps showed ecological relationships, providing important information to land managers about where to target managed invasions. For example, Himalayan blackberry preferred deciduous forests more than coniferous forests whereas English ivy preferred coniferous. English ivy preferred areas with higher slopes than Himalayan blackberry and absence plots across the city. Both Himalayan blackberry and English ivy in forested areas preferred southern-facing slopes more so than Himalayan blackberry and English ivy in open areas. The opposite was true of northern-facing slopes. English ivy in open areas frequently occurred in darker areas according to the irradiance models, whereas Himalayan blackberry in open areas did not show such a strong preference. This is consistent with previous studies about habitat preferences of English ivy, which indicated that English ivy preferred more forested areas, which tend to be darker than open areas. The modelling process also provided an indication of how environmental factors are driving species distribution. For example, slope and aspect were important for Himalayan blackberry in open areas and convexity and radiation were most important for English ivy in open areas. This research highlights the applicability of remotely sensed data for modelling the distributions of plant species and for informing managers of urban forests about the state of the land. Additionally, the number of ecological relationships that can be quantified using remote sensing data is extremely valuable to managers targeting single species across large and complex areas such as cities. For further information please contact Curtis Chance at curtis.chance@alumni.ubc.ca or Dr Nicholas Coops at nicholas.coops@ubc.ca.